Iona Seafood is a small business, with the primary aim of enabling visitors to Iona and the Ross of Mull to purchase fresh seafood that they can prepare and cook for themselves. 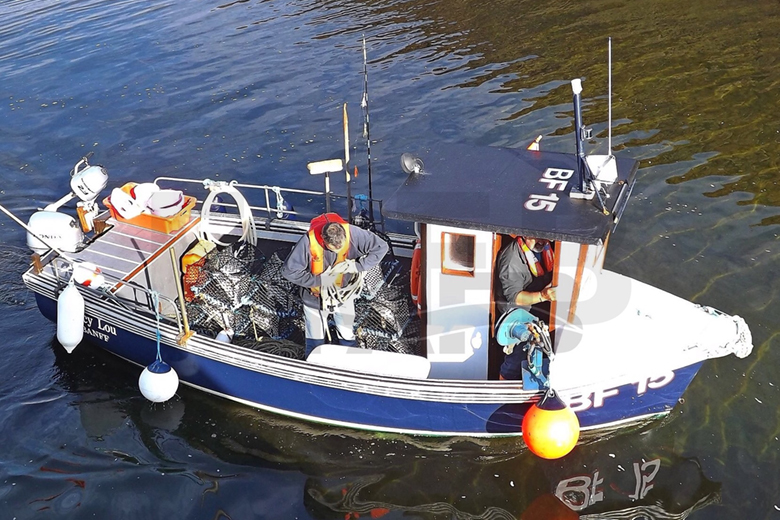 The business has been operating since 2012, initially selling prawns to the two local hotels on Iona. 2013 and 2014 saw us start selling to private customers and begin selling other species such as crab and fish. In 2015, thanks to funding from the SJ Noble Trust, we were able to purchase a larger fishing vessel. This has allowed Iona Seafood to become a full-time occupation for its owner and to offer more seafood to local businesses and private buyers. Iona Seafood’s new vessel is the ‘Lucy Lou’, a Plymouth Pilot 18. As far as we know, she worked out of Mallaig for a number of years fishing for prawns, and then had a spell on the East coast fishing out of Banff. It was from there that Neil purchased her and brought her back West! Although not much longer than the previous boat, she has a hauler which saves Neil a lot of work hauling the creels by hand, and a wheelhouse to shelter in if it gets a bit splashy! 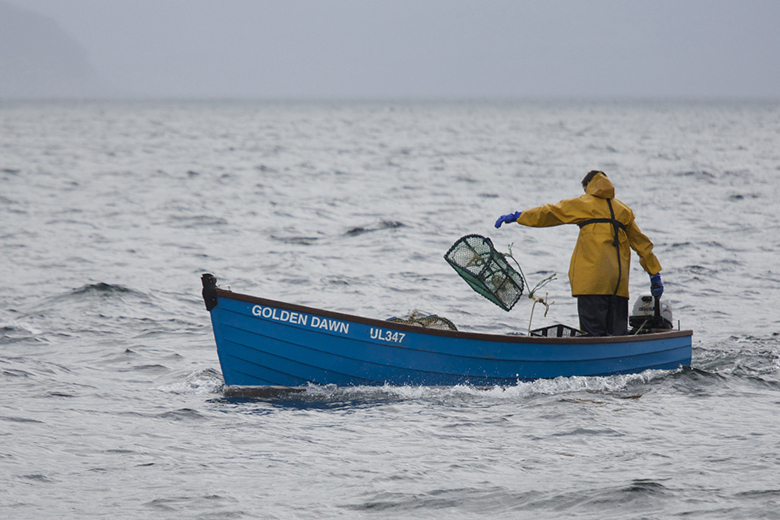 The original Iona Seafood vessel was the Golden Dawn. She is an Orkney-built dinghy owned by David Kirkpatrick of Staffa Trips and leased to Neil on a care and maintenance basis. The perfect ‘starter’ boat, she was stable, safe and surprisingly quick, but as Iona Seafood grew it was clear a larger vessel was needed. You can still see her in the Village Bay, enjoying a well-earned rest!